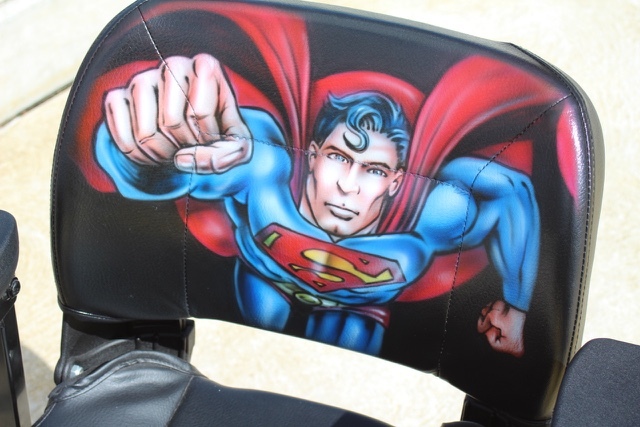 Superman Scooter airbrushed for Lucas. 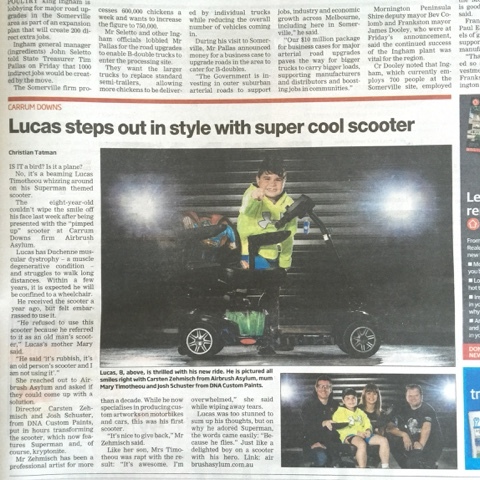 A little while ago we met Lucas, an 8 year old boy who is suffering from Duchenne Muscular Dystrophy, he brought us his mobility scooter which he was embarrassed to use and asked if we could help. 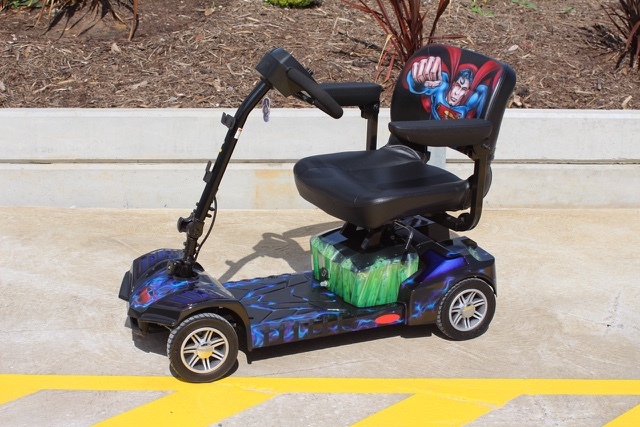 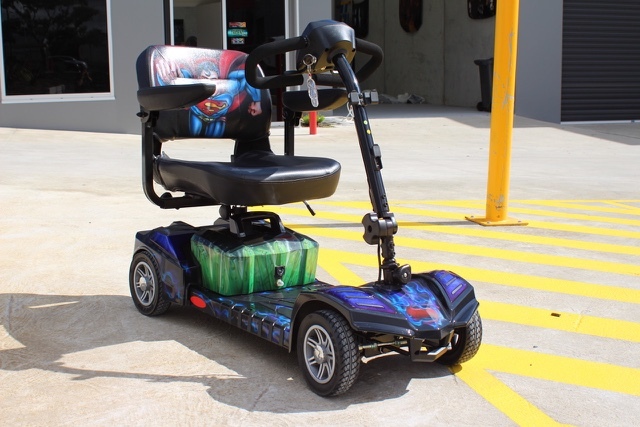 With the help of Josh who handled all of the prep and clear, we donated our time to 'pimp up' his ride and transform it into a Superman themed scooter. 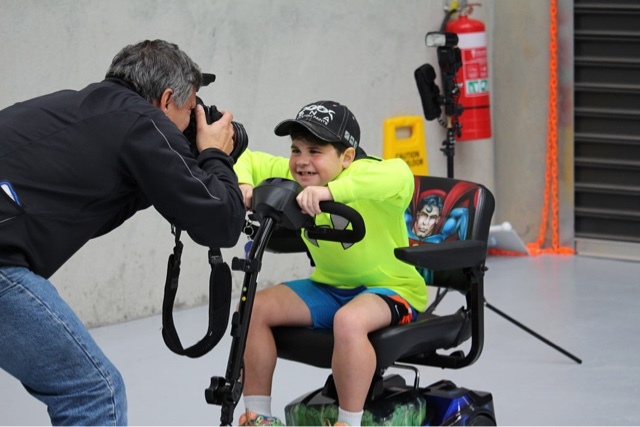 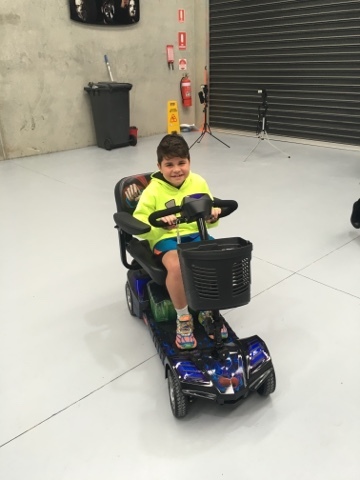 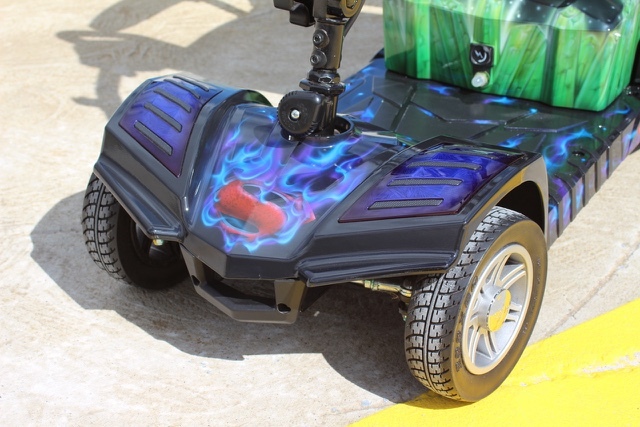 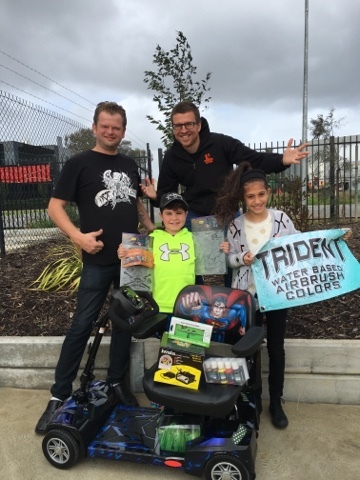 It was such a pleasure to be able to do this for Lucas and we hope that he enjoy's both his new scooter and the airbrush equipment and paints generously donated by Anest Iwata Australia, Trident Paints and DNA custom paints .